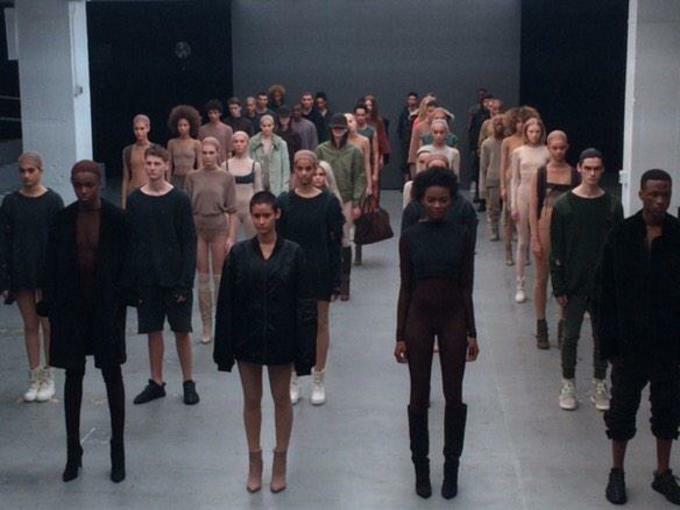 The day is finally here: Kanye West is showing his long-awaited adidas collection at New York Fashion Week today. 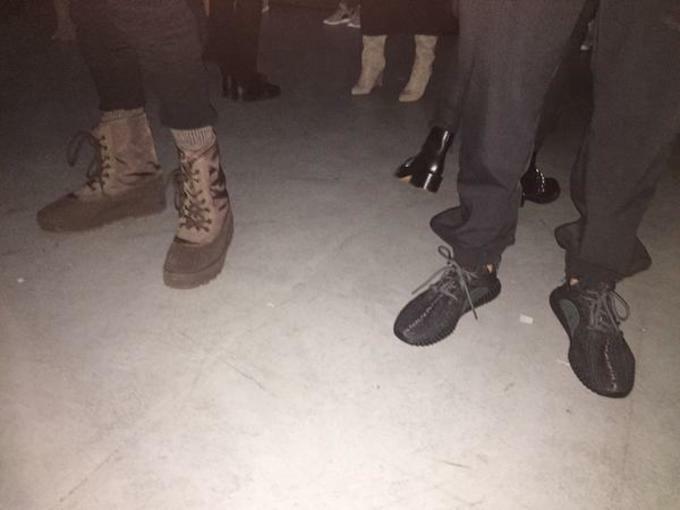 So far, we know that the line will include the adidas Yeezy 750 Boost, which he debuted this past weekend at the Roc Nation pre-Grammys brunch in Los Angeles (and then wore onstage at the Grammys). 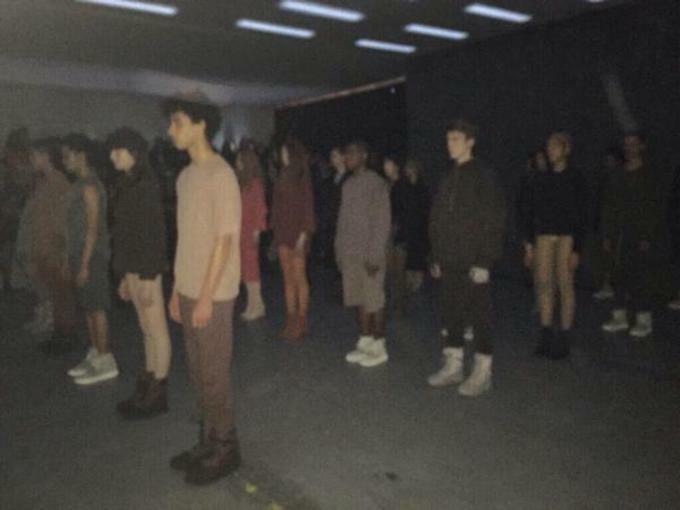 It has also been confirmed, via the physical invites attendees received (which were teased for the past seven days on new countdown/video website, yeezy.supply) that the show will include a performance created by artist Vanessa Beecroft, who has worked with Kanye in the past (on the Yeezus tour, the Runaway film, his 808s and Heartbreak listening event, and more). 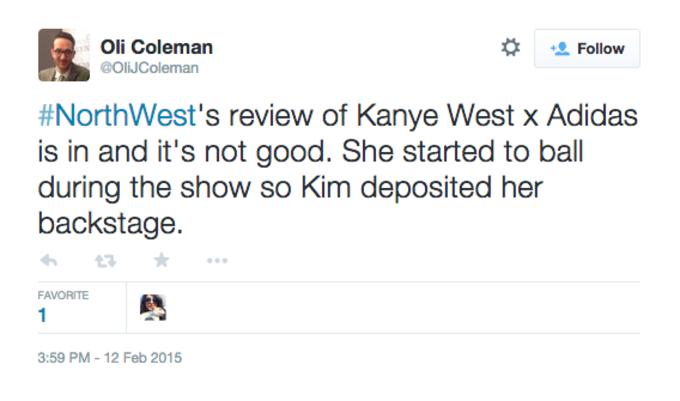 Days before, Kanye tweeted the floor plan for the show, which also indicated that it would be a "performance." 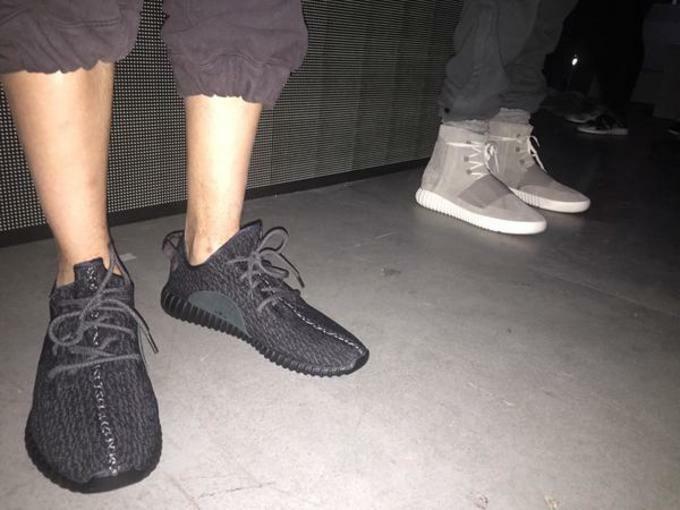 Yesterday, it was also announced on yeezy.supply that the show will be live-broadcasted in theaters around the world, and many fans got their confirmation tickets late last night. 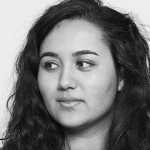 Our Complex team is at the show at Skylight Clarkson Square in Manhattan right now for the show, and we&apos;ll be live blogging the event. 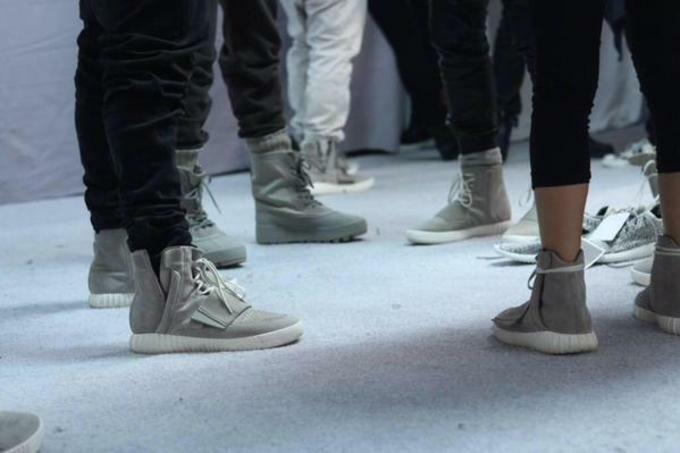 Stay tuned here as we let you know everything that&apos;s happening at the show as it takes place. 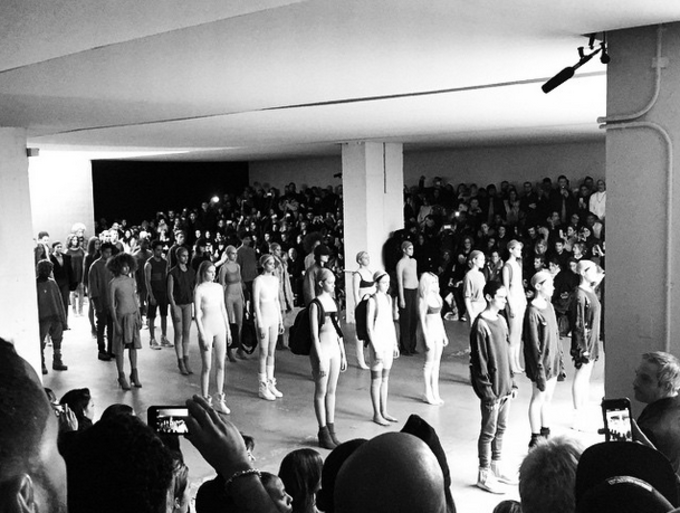 UPDATE: You can stream the entire show below, read our review of it here, and see the official photos of the collection here. 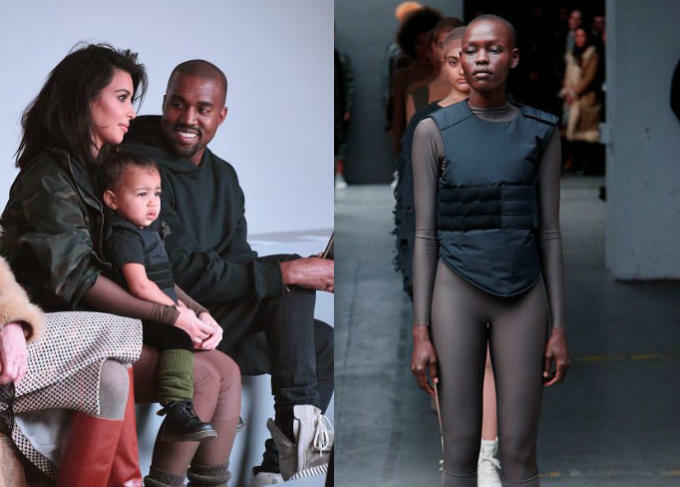 Looks like North West got her own custom mini-vest from the show. 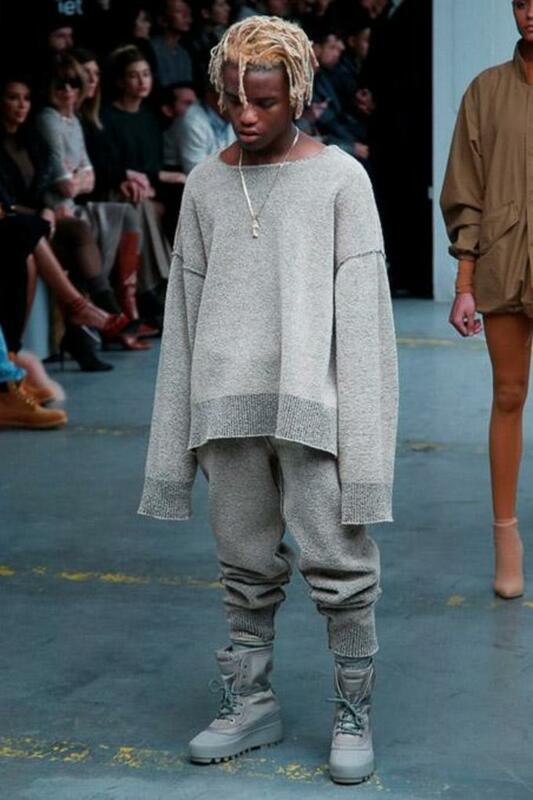 Kim also wore "Yeezy head to toe." 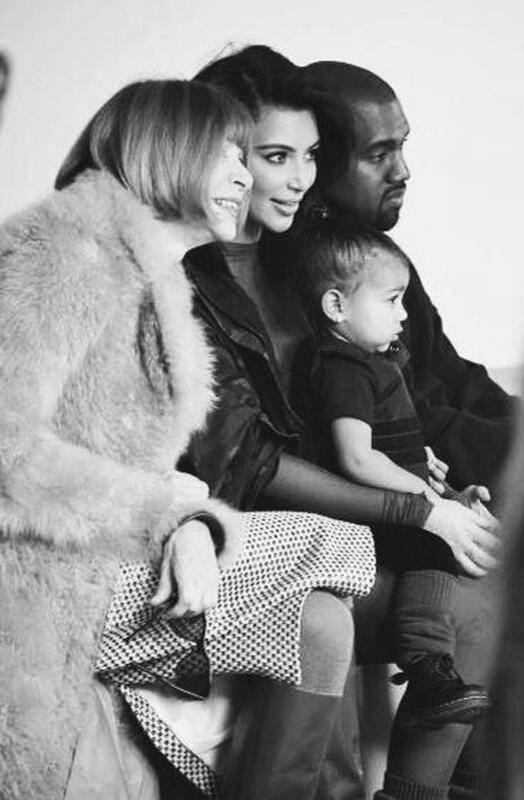 Here&apos;s another backstage photo of the happy family (post-North West crying backstage), that shows The Wests with Anna Wintour. 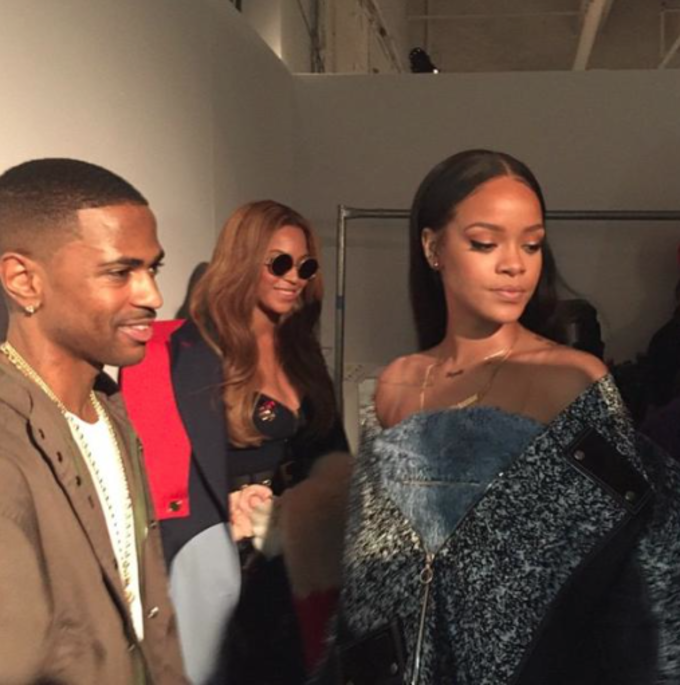 Another one shows Big Sean, Beyonce, and Rihanna. 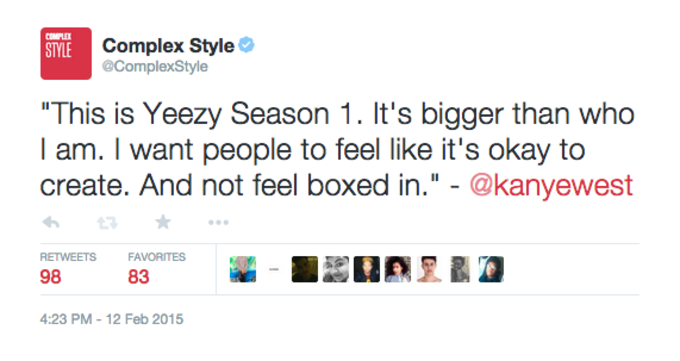 Kanye just tweeted that you can reserve the Yeezy Boost now. 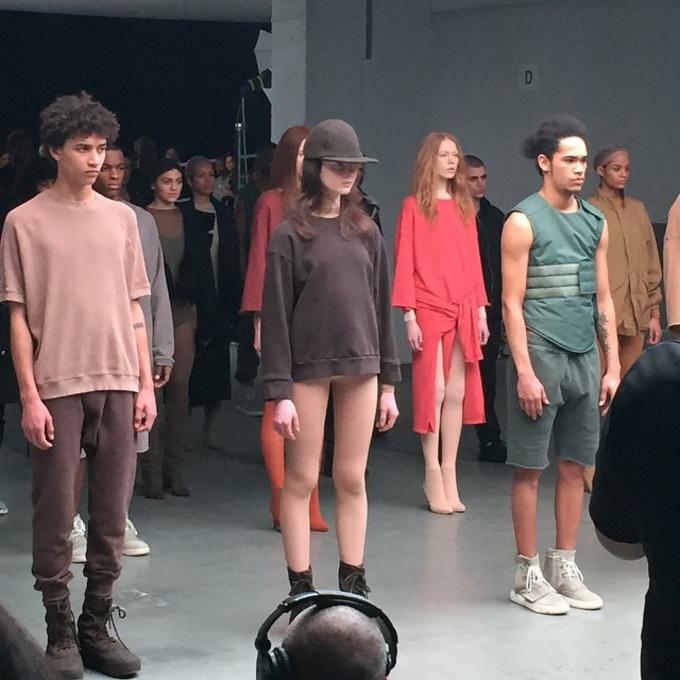 Here are some things Kanye said at the show, revealing that the collection was inspired by the London Riots in 2011. 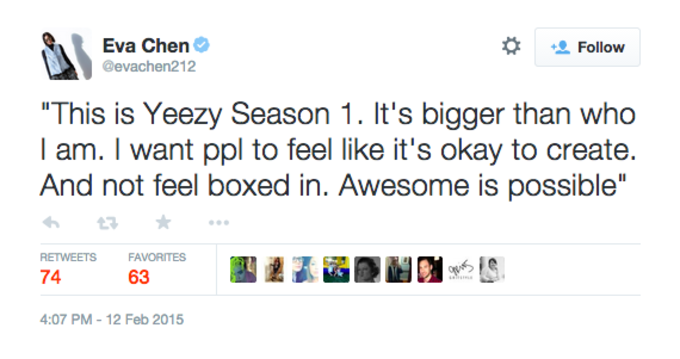 People are saying that Kylie Jenner modeled in the show, too (which Kim Kardashian confirmed on Instagram). 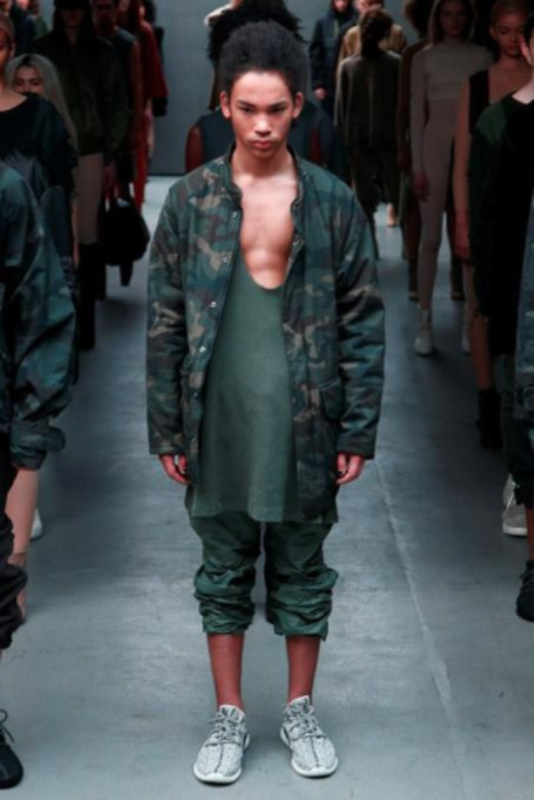 More photos of the collection and the shoes (more info here) starring cool kids Luka Sabbatt and Ian Connor. Here&apos;s a look at the video being simultaneously shown in theaters. 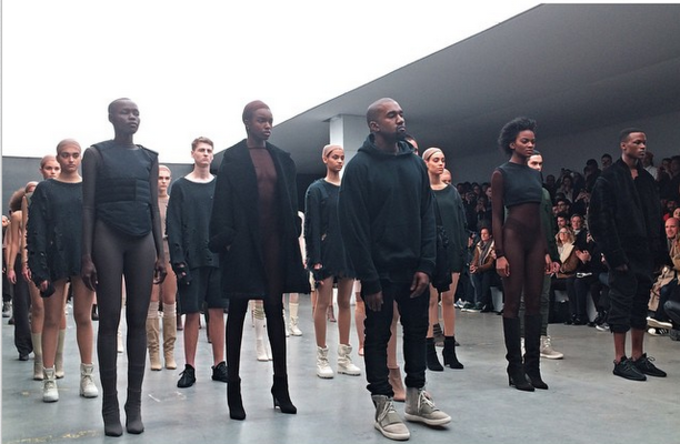 Here&apos;s a video of Kanye taking a bow at the show. 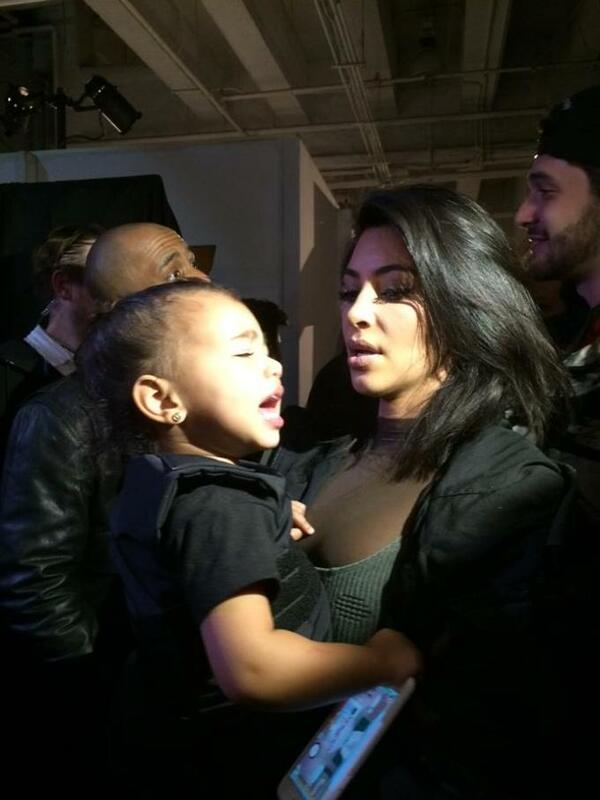 Apparently North West is there, too. 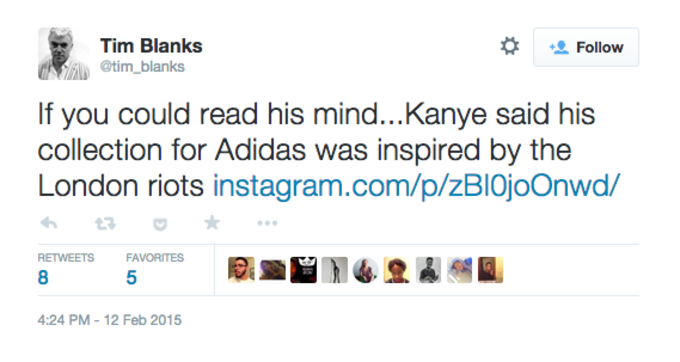 illroots is saying that Kanye is playing a new song. Rihanna arrives and is seated next to Alexander Wang wearing an outfit fresh from the VFILES runway show the night before. 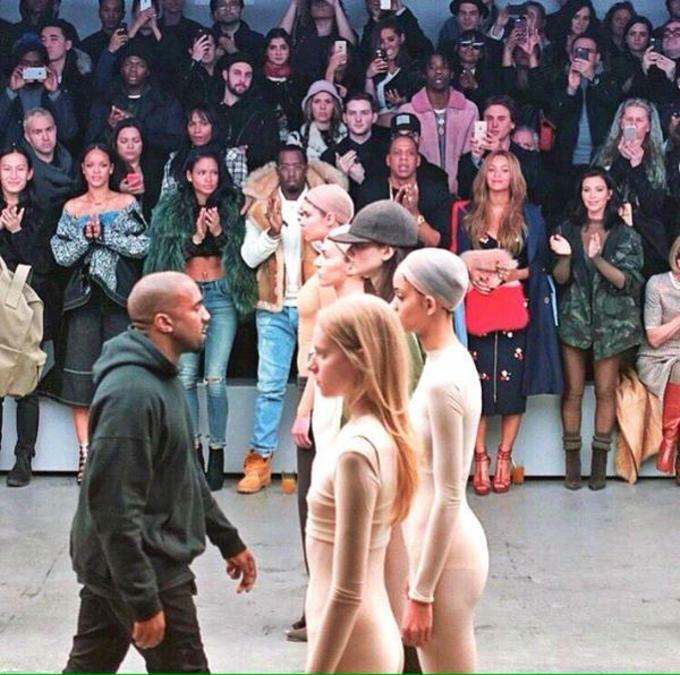 Another photo shows Kendall Jenner, Khloe Kardashian, Alexander Wang, Rihanna, Cassie, Diddy, Jay Z, Beyonce, Kim, North, and Anna Wintour all in the front row. 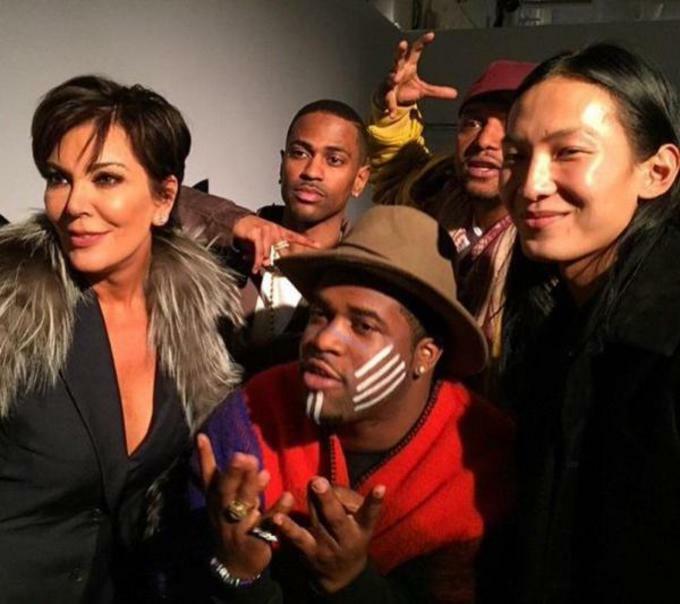 Kris Jenner, Big Sean, A$AP Ferg, and Alexander Wang stopped for a photo together. 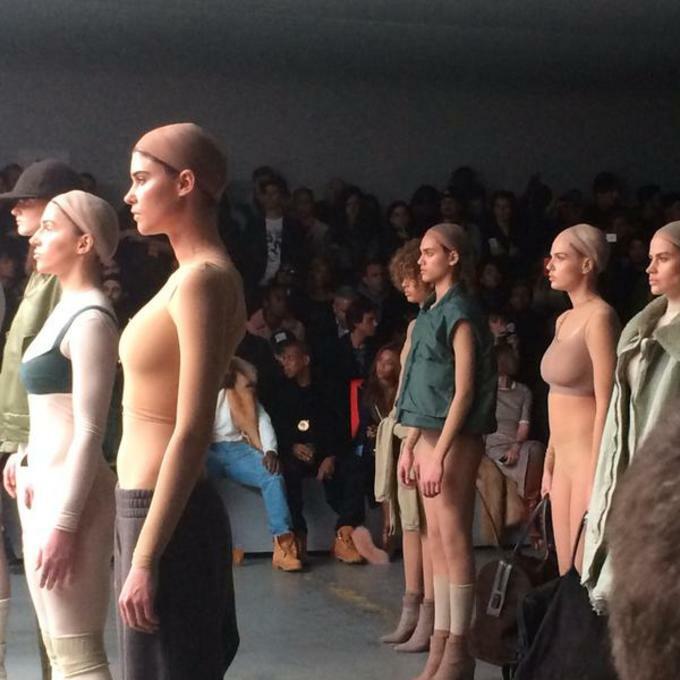 More photos are rolling in, showing the models standing in rows. 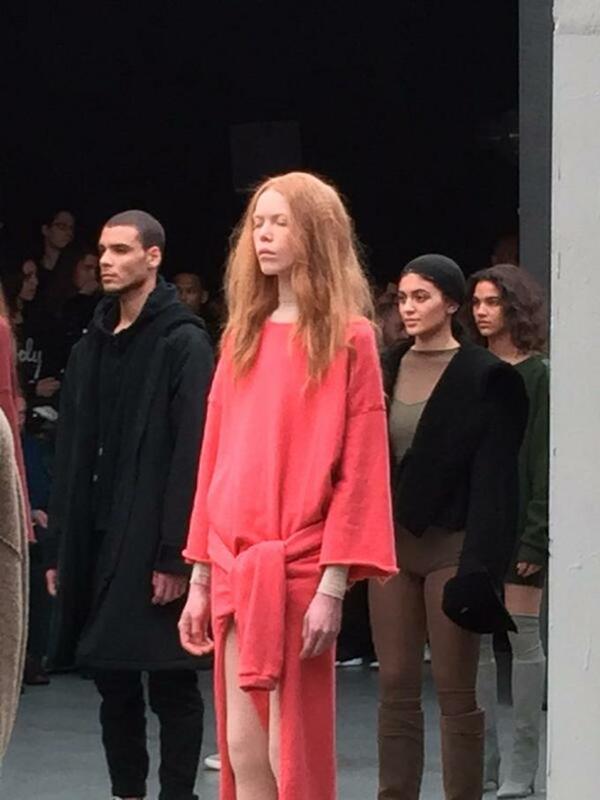 It seems to be a presentation, not a runway show, and it&apos;s in the style of artist Vanessa Beecroft&apos;s performance installations. 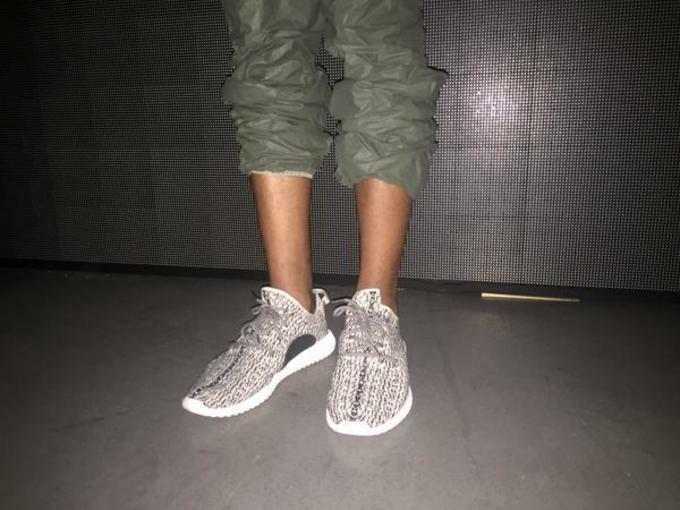 Someone has spotted a second possible Kanye x adidas shoe. 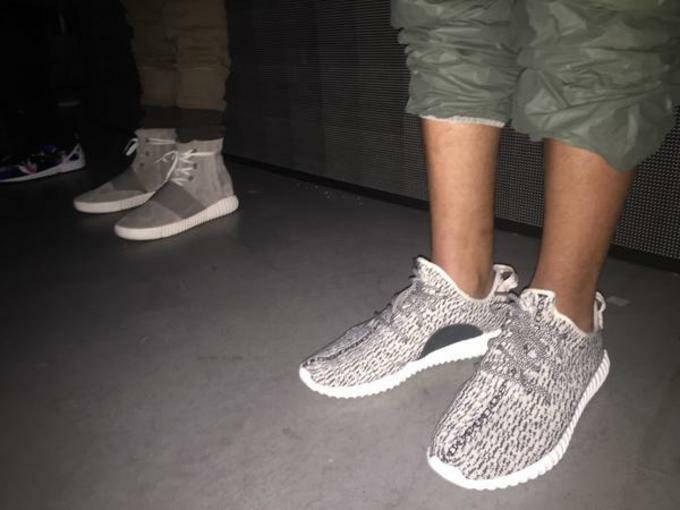 Here are some first looks at the clothing. 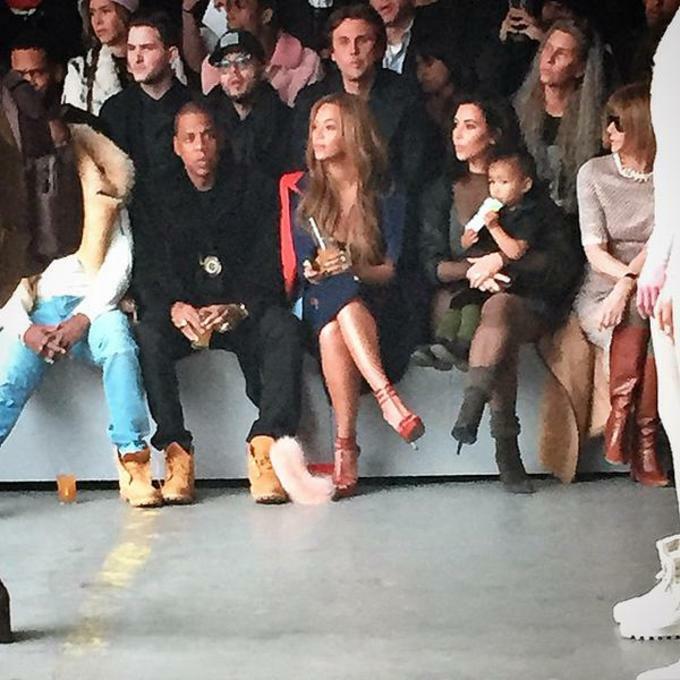 People on Twitter are saying A$AP Rocky, Beyonce, Jay Z, and Rihanna are there, too. 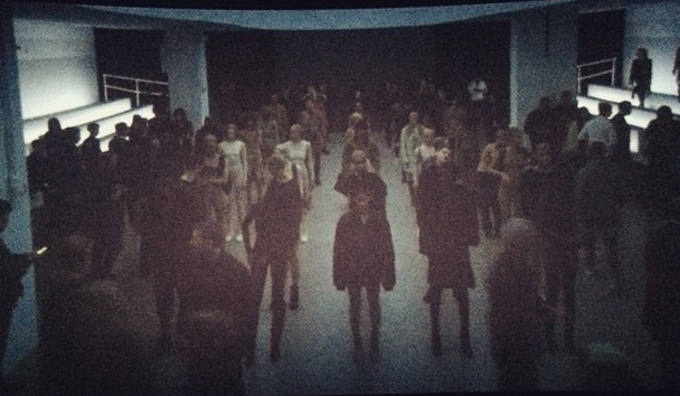 The show&apos;s started to be live-streamed at movie theaters. 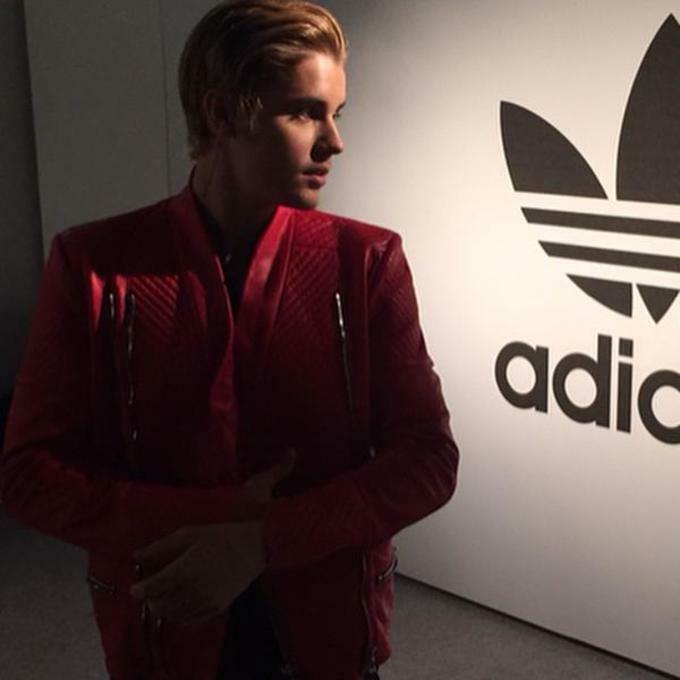 Justin Bieber just showed up, too. 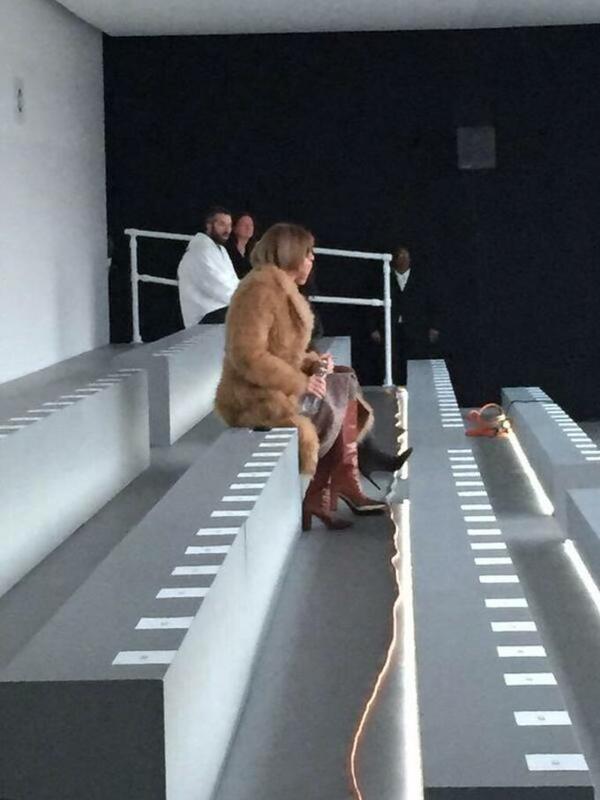 Anna Wintour is already there. 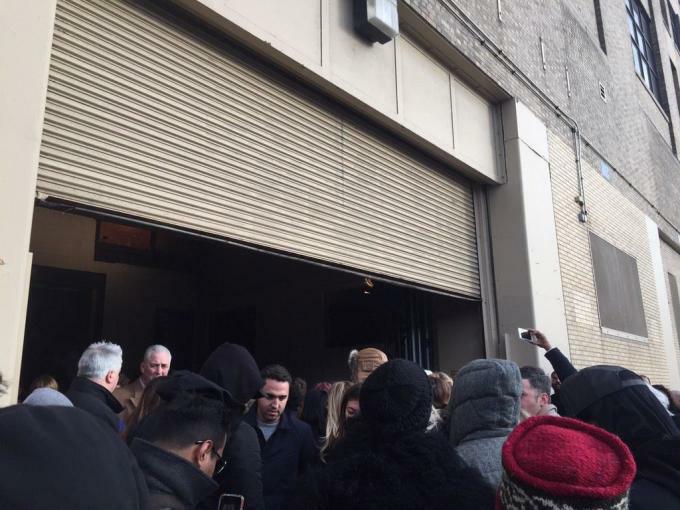 There&apos;s a long line outside of the venue for the show.